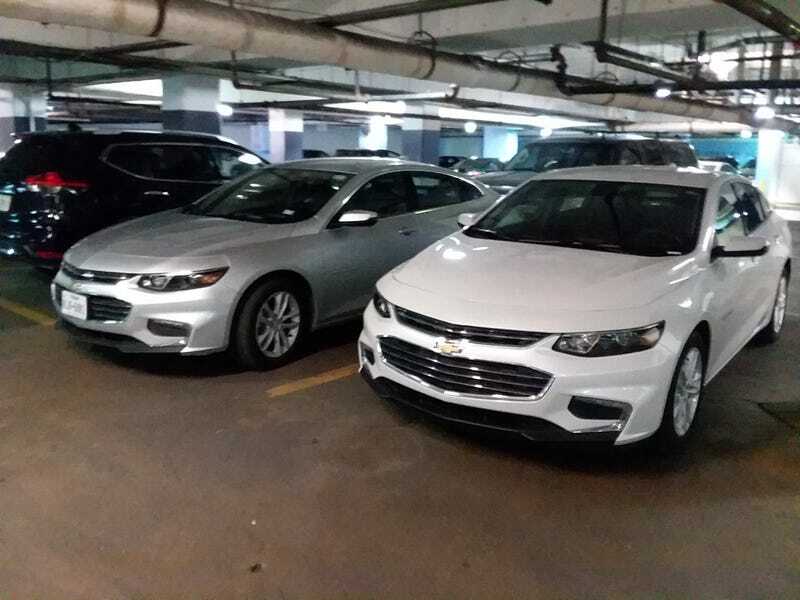 Parked next to another Malibu in the hotel parking garage because I always think it’s fun to group together multiples of the same car for no real reason. Like a gang or something! Not a bad car so far. It does good burnouts every launch even with traction control on. Obviously I need it off and some rough pavement to get any real extended wheelspin but it will do it! Otherwise decent as well. Goes highway speeds comfortably and will actually turn when asked. Another week and a half to go with this vehicle so I’m glad I don’t hate it.